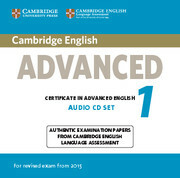 Advanced Trainer Second edition offers six practice tests for the revised Cambridge English: Advanced exam combined with easy-to-follow guidance and exam tips. 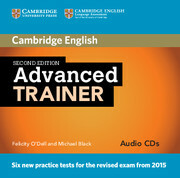 These Audio CDs feature the listening and speaking activities from the tests to accompany the Advanced Trainer Student's Books. This audio material is also made available online for download with purchase of the Advanced Trainer Student's Book with Audio (with or without answers).